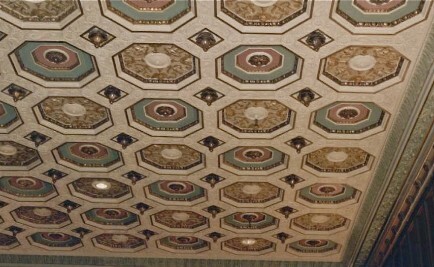 Welcome to Fantasy Finishes Inc.
Sea-Tac Hilton Hotel, Spencer's Restaurant Ceiling. Completed 1999. 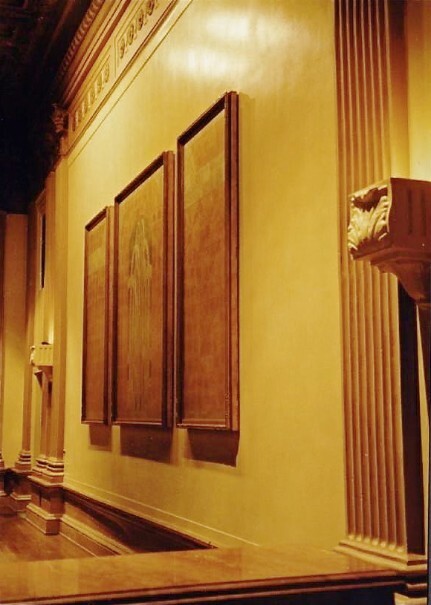 Providing Conservation & Restoration of Historic Architecture, Italian Lime Slake Plasters, Museum Quality Faux Finishes, Murals, Trompe L'oeil, & Damaged Marble & Stone repairs. Distressing, Staining and Fine Finishing of Hardwood Interiors & Furniture. 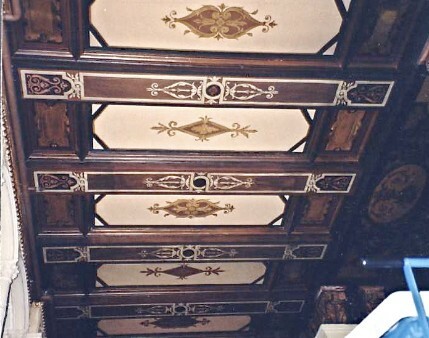 Fantasy Finishes Inc. specializes in solving serious finish problems, for contractors, building owners, antique collectors, and those involved in huge projects with unreasonable deadlines, for very difficult to please clients. 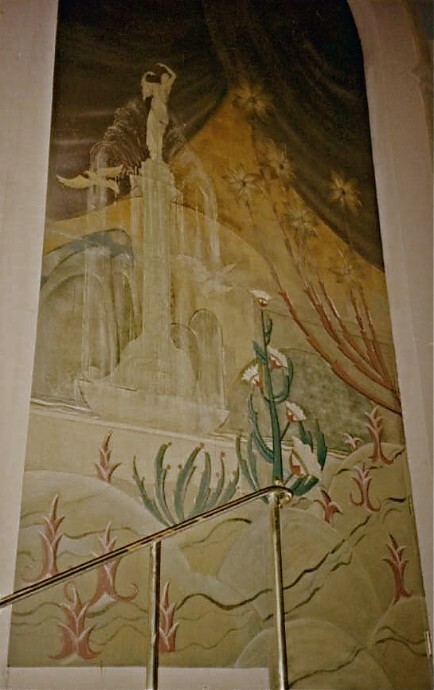 Meridian Studios, Santa Barbara, California. 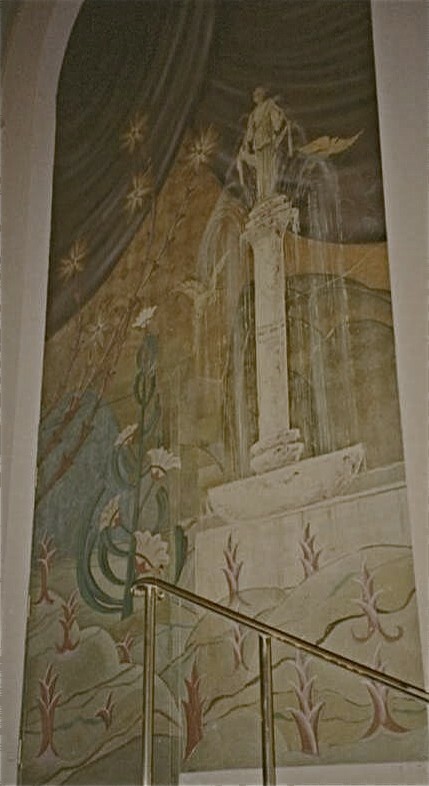 Completed 1996. Specializing in fire, elemental, earthquake and water damage restoration. 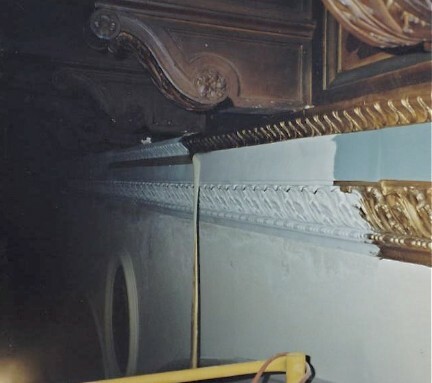 Our services include; the repair and replacement of damaged substrates, including the re-manufacturing of cast plaster architectural detailing, common on Victorian, Edwardian, and Classical Revival Architecture. The 5th Ave. Theatre, Seattle, Washington. Completed 2004. 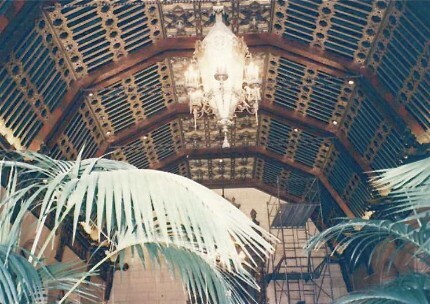 Michael Pennington has been instrumental in the design, removal, re-creation, and installation of historic architectural decorative embellishments since 1985. 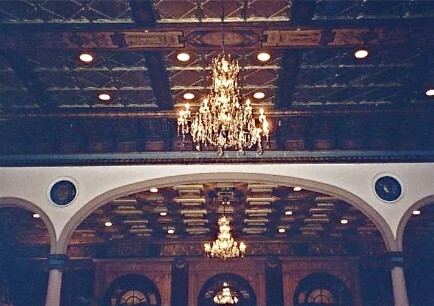 Photo (above), of a large and heavy section of plaster crown moulding that suddenly crumbled, and fell 20 feet to the banquet area below. This event occurred just minutes before guests were due to arrive. 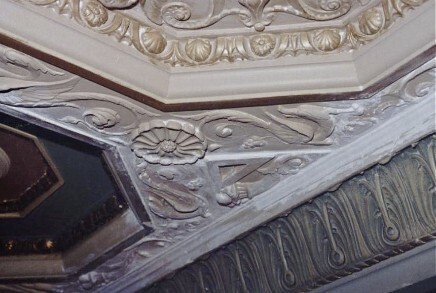 (above), next was building an adequate wood framing, behind the new fiberglass reinforced gypsum (FRG) castings (below). Final field color and bronze powder coating prior to aging & distressing to blend in with surrounding detailing. Entire project was completed within 12 days to facilitate a quick turnaround, and allow the hotel to return to normal. Finished repair, painted and glazed to match (above). 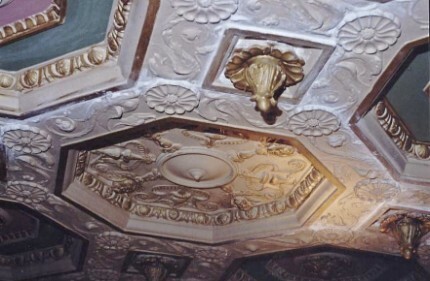 Installed parts seen installed, Gold Room arch, (right). 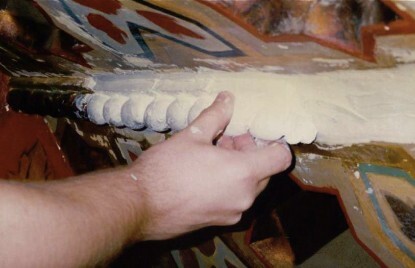 General paint conservation, and restoration of 26" of rope moulding that fell to the floor, (below). Plaster casting and pink dental tray material mould we created onsite, (below). 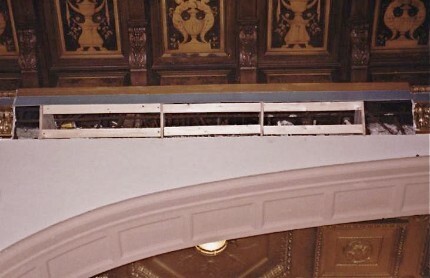 Scaffolding used to access ceiling (below). 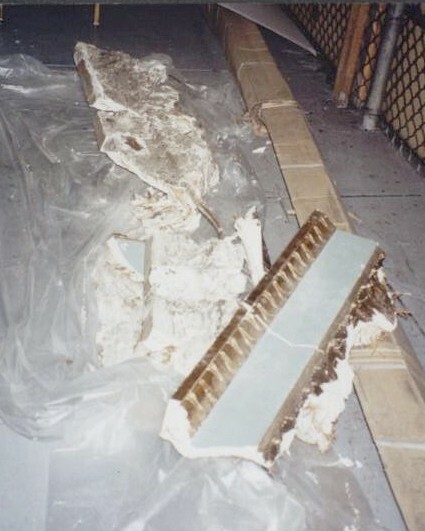 Ceiling repair needed after serious damage sustained, due to the 1994 Northridge earthquake in California. 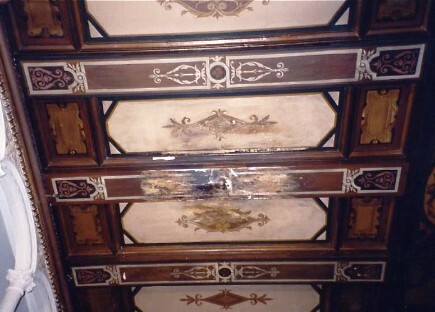 Typical coffer after plastering contractor installed it, and in-house painters tried to finish it, (above). 23 coffers where once was a very large hole, (above). 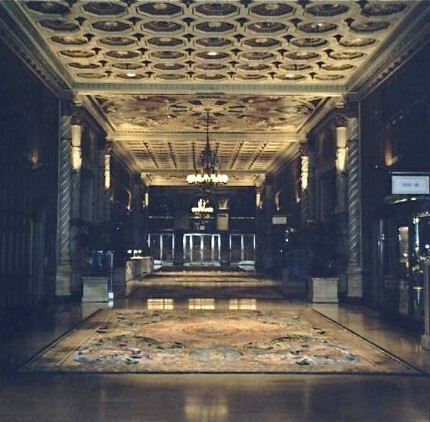 Done in conjunction with the ADA retrofit required by the State of California, the original wooden doors were replaced, by two steel frames and fire safety doors. 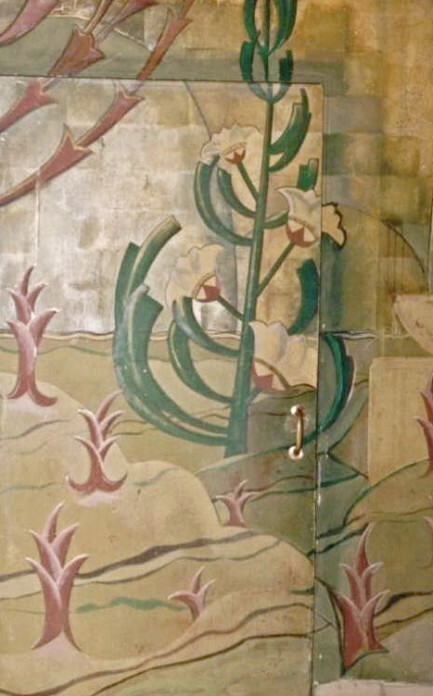 Art Deco Mural, right side wall with door, prior to replication (above). 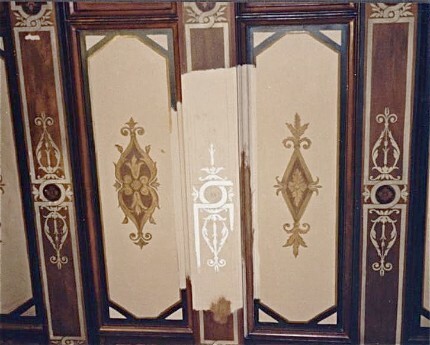 Wood door detail after removal from frame, (above). 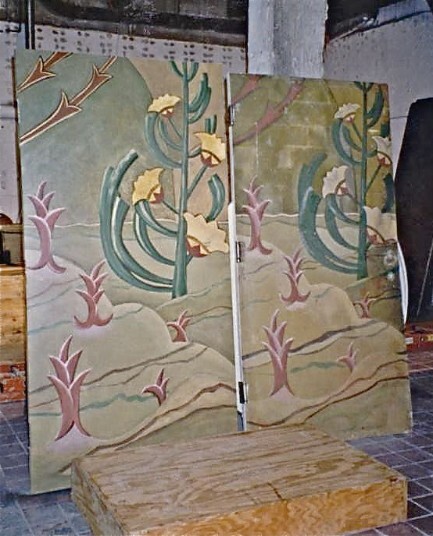 Newly painted and old doors, side by side in studio, (above). 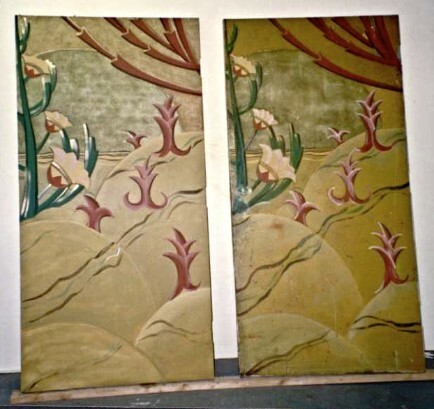 New and old painted doors, side by side onsite, (above). 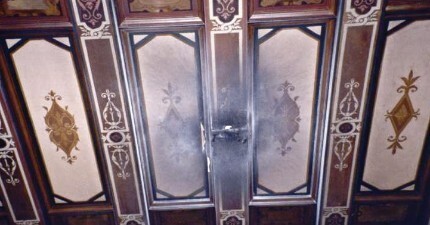 Damage resulting from fire, caused by excessive heat from lighting fixture used by "West Wing" film crew. 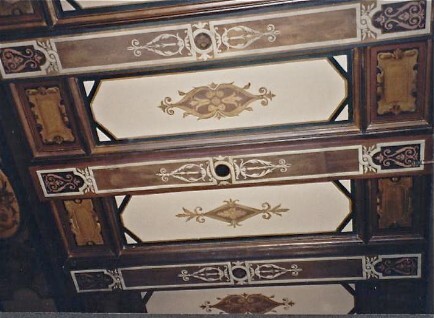 Charring, smoke and flame retardant staining to beam and coffered ceiling (above). 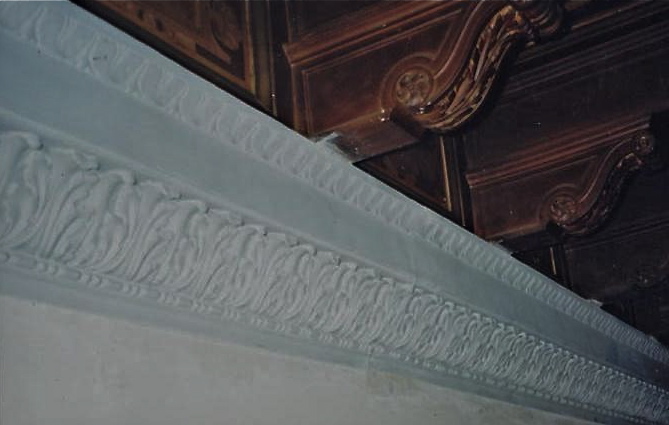 Filler material designed to adhere to plaster substrate, (above). Base color painting with stencil work in progress, (above). 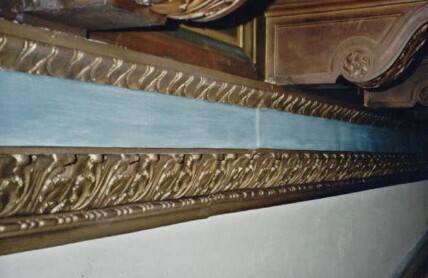 Finished beam detail matching previous restoration attempts, (above & right). 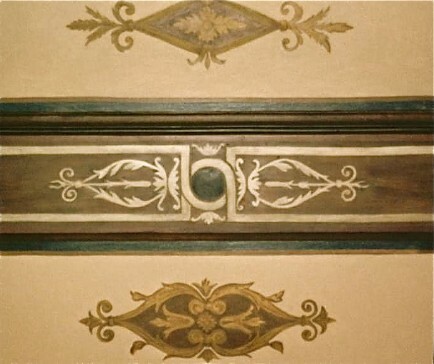 Fantasy Finishes Inc. has been instrumental in regards to repairing all water leak, deterioration, or earthquake damage to the decorative work at the 5th Ave Theatre since 2004. 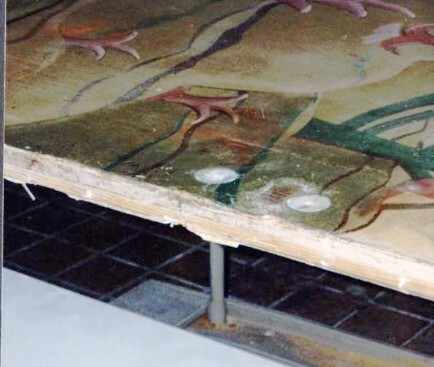 Serious discoloration due to the chemical reaction with the varnish, moisture, and plaster substrate. This happened as a result of a broken drain pipe, flooding the second floor above the entry portico. 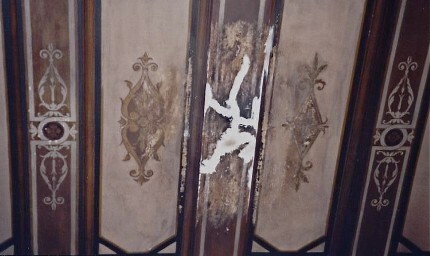 Abrading & cleaning surface to reveal extent of damage to coffers and beams (below). Field color, beam detail ready for final stenciling and finish, (below). 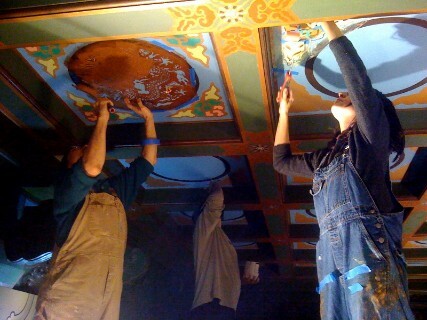 Michael and crew stenciling dragon and cloud motifs, (below). 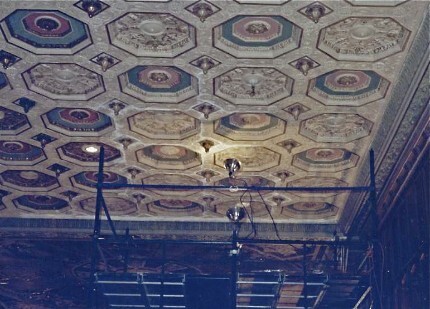 Detail of 27 coffers with beams, completed in 21 days, allowing the 5th Ave.Theatre to resume their performance schedule unhindered, (below). 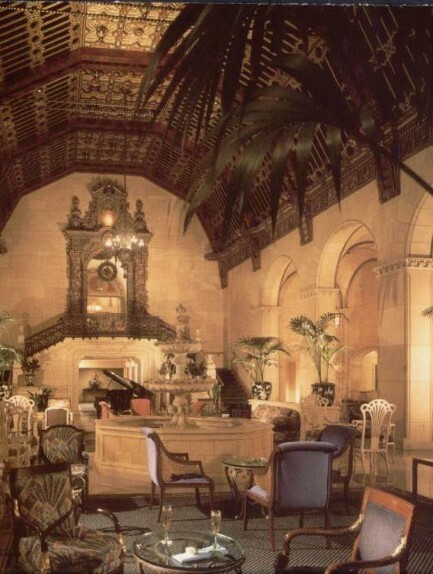 Yellow ocre oil based glaze in Biltmore lobby, (below). To resolve, we removed an adjacent good section (below), and had it replicated several times, and replaced the two sections necessary to fill the opening,(left). After installation is secured (upper left), beginning the process of making something new, look old is next. 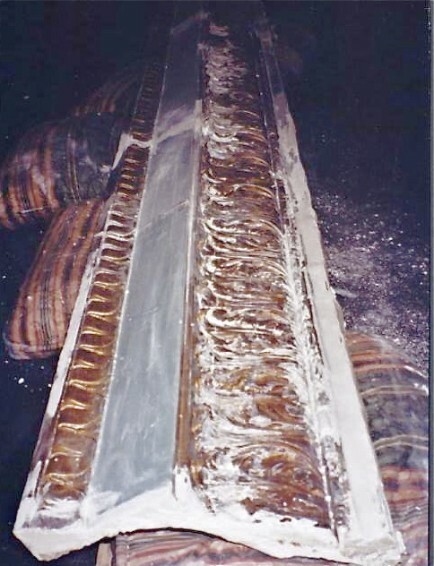 Casting being secured in place, (above). Seam detail at edge of damaged area, (above). 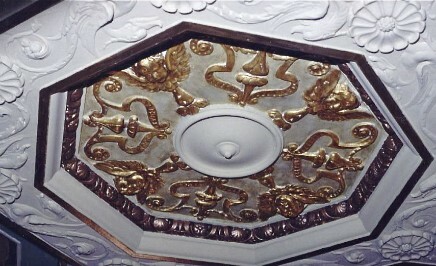 Final restoration of 23 painted, gilded, and bronze powdered coffers in galleria, (above & left). 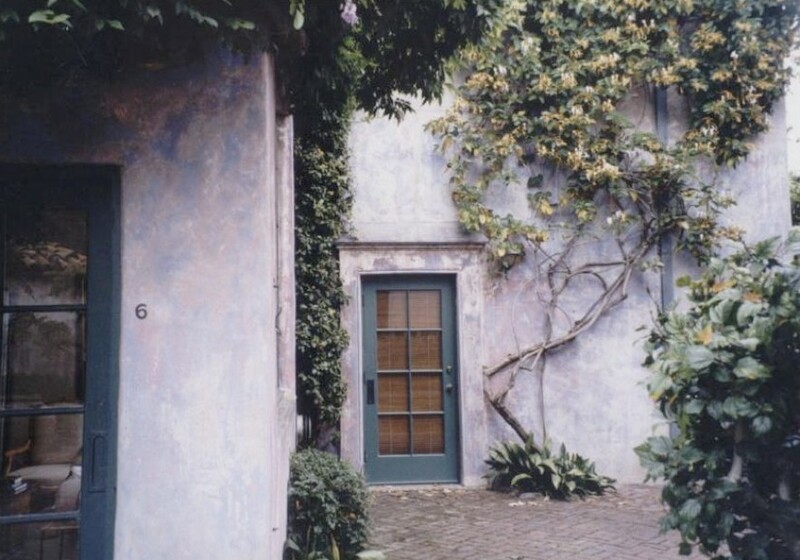 As a result, the original artwork had to be replicated, as well as the steel door frames painted in place. 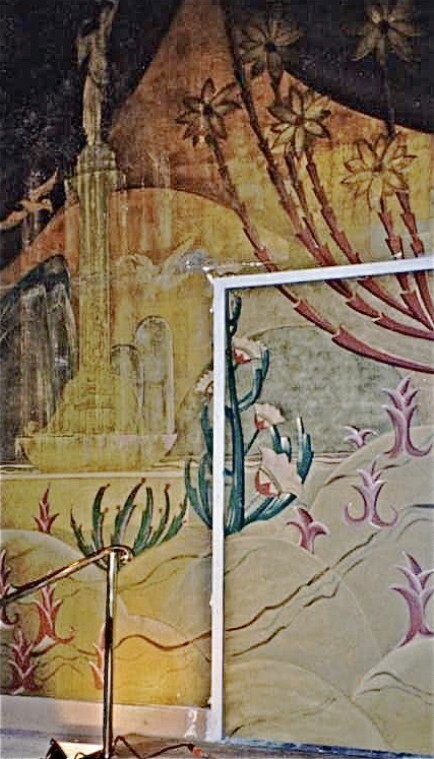 Art Deco Mural, left side wall with door, prior to replication (above). 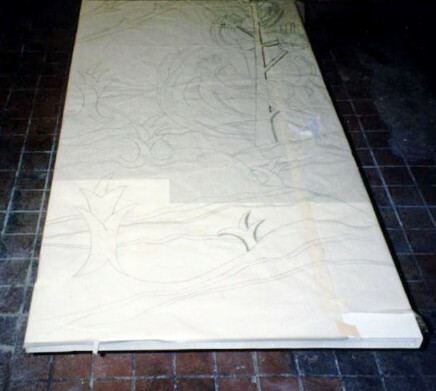 Steel door, primed and ready for stencil transfer, and painting to match original artwork, (above). New door installed, and ready for frame painting, (above). 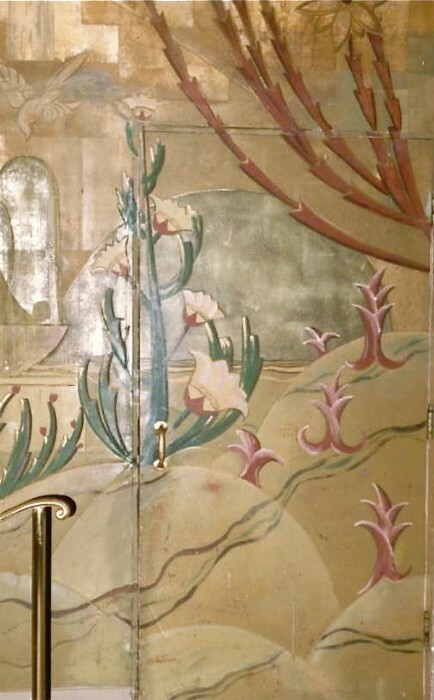 Final installation of new steel doors and frames, seamlessly blending into surrounding art deco style artwork. 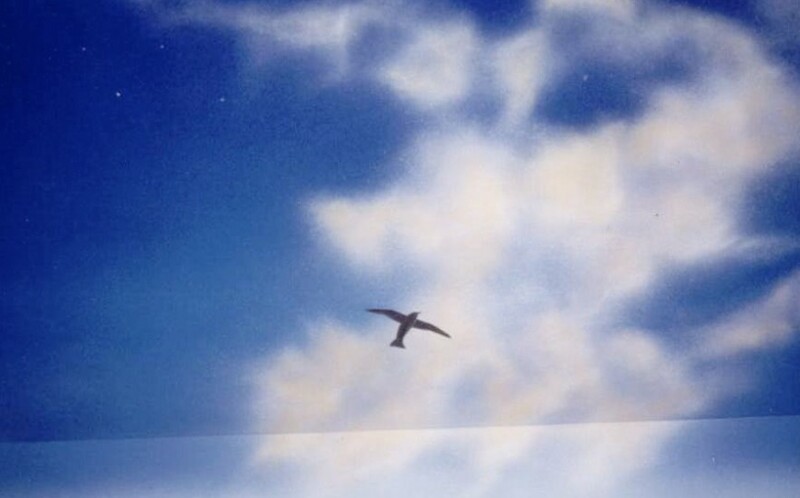 (above and left). Cleaning stage finished, assessment of substrate damage now possible, (above and below). 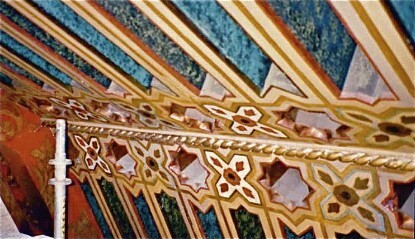 Detail of finished repair and restoration, (above & below). 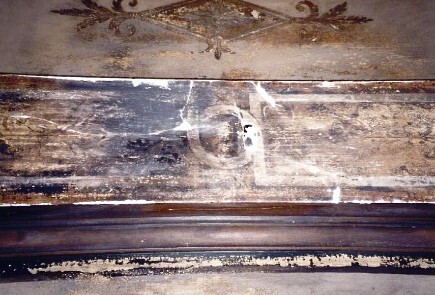 Detail of photo at left, one of 27 coffers needing restoration. Stain blocking primer layer applied after substrate was thoroughly dry, (below). Bronze circles and cross backgrounds ready for stencils, (below). Final result, including satin clear coat designed to withstand the elements, (below).